"She shoots... She Scores!" 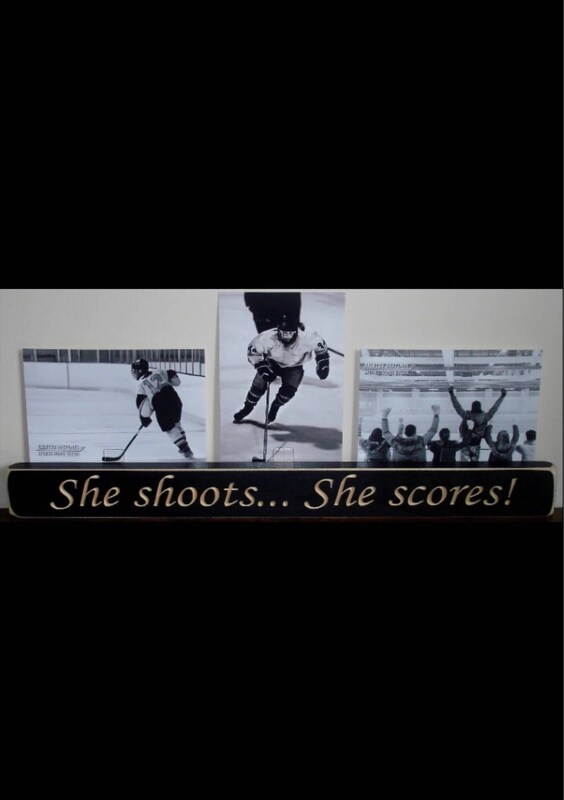 Photo/Sign - Perfect for displaying those treasured hockey photos. This will add a great conversation piece to any room. This also makes a great gift! 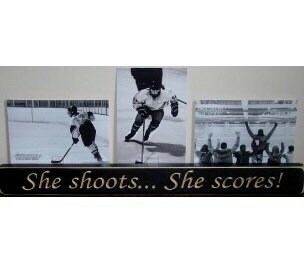 Shown with hockey photos, but this would also be great with basketball, soccer or lacrosse photos as well! 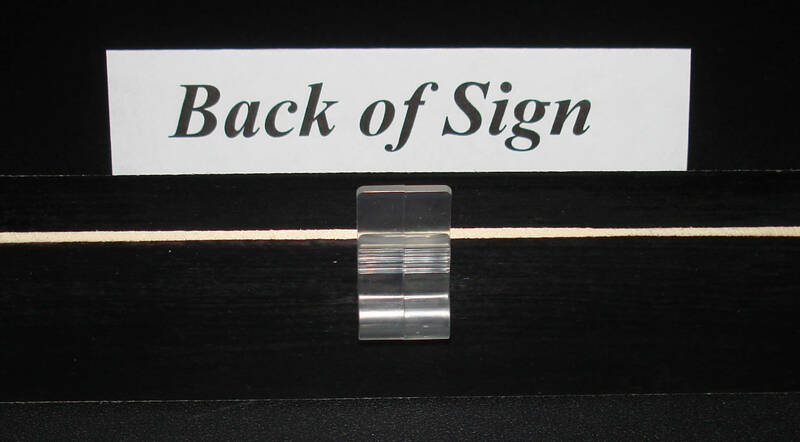 Excellent item and timely shipping. Thank you so much!